Could this be a case of Nintendo prioritising its own titles though? Since they control the production, and would of course want their own titles restocked. But like I said, this is the first time this is happening to a game. There have been shortages of other games, but not as severe as this one. So until proven otherwise, I think the blame lies in Square enix. Dark Souls Remastered out on October 18th in Japan, October 19th in the west. lolwtf. This better not happen with Vesperia! No. It's just a case of underestimating demand and most likely SQEX also beeing very cautious about the quantities of their reorders. Otherwise we wouldn't even had seen the game charting at all in the past few weeks. Good thing there isn't another first party title till October! Hopefully Nintendo are seriously thinking about expanding production facilities going forward. As more and more titles are produced, there simply won't be the capacity to produce them and also produce the ever-growing number of existing titles in the quantity required. They're struggling to fit in one title as it is, and since they decided to go with proprietary cartridges I think it will be up to them to put in the money required to open a new factory, new lines, whatever is needed. What are everyone's thoughts on this? That's quite a long wait for the next shipment; hopefully SE can find a way to move up this new batch. Still, if the game value's stays high, especially looking at used copies, I can see its sales going on for a while in spite of the shortages. Not having them would be the ideal scenario, but oh well. Yeah, I think Octopath Traveller will have slightly different sales than most rpgs in that the used market wont diminish the sales/legs of the game as much as a typical rpg. Like a lot of Switch software, I see its' sales having really long legs. Granted its legs are artificial due to not having enough supply. That's the only thing I could think with SE is that they rush ordered a large shipment which we will see the results of this week. In between they realized they still had underestimated and planned another big shipment for September. Meanwhile sales in between will putter around 15-20k. Although I'm curious how much their larger restocks are. 50k? I wonder if the byproduct of Switch’s success would be more PS4 games. If the Switch does 3DS numbers publishers would have no choice but to be there if they want to stay in business. And thanks to all the use third party middleware is getting port jobs would be simpler than in the past. It’d be nice to see. SE's situation with Nintendo's platforms has been abysmal for years now. this has been so disappointing from Square, when you ship 110K and the game is completely sold out with very strong demand, it should become clear to you that you can go much higher than that, they should've prepared a big shipment in August not only those 10-20K weekly shipments. this is the first time I witness a company in Japan failing this much to meet the demand of its customers. we are lucky that they didn't publish the game outside Japan. 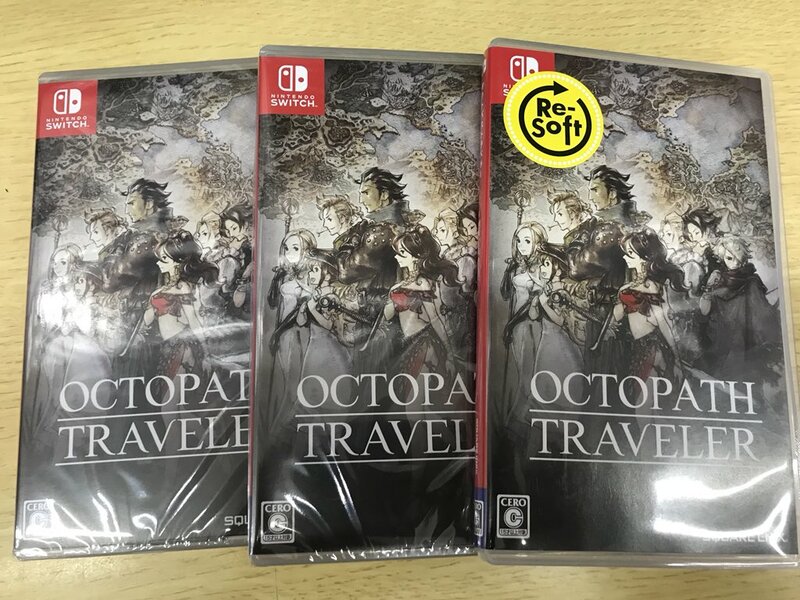 I'm not assuming it's to do with Nintendo per se, I was merely venturing an idea, but given the weeks of shortages (and I'd assume that even Square Enix would want to make money from selling more copies of Octopath) I would say there's an issue with spare capacity, if an emergency order needs to be placed, in addition to scheduled production. For me summer starts at March and ends at November. Chris1964 a word on Resident Evil 2 Remake preorders ? What kind of sales should we expect ? I really want to know how much SE expected Octopath Traveler to sell. So far it looks it had a slow start but the game is still far away. Same as a finn. We still had meter of snow in late March lol. Damn. You must live pretty north even by Canadian standards. Amazon put a date for next Octopath Traveler restock: 5 September. How Square Enix is handling this stock shortage is... strange, to say the least. They should had provided enough supply to the demand soon after the succesful launch. It seems like they had very low expectations for it, if you judge from how they're handling this situation from the beginning. "This week [PS4] Yakuza 3 debuted 1st. Yakuza 1 and Yakuza 2 were released as remakes on PS4 and while Yakuza 3 is remastered it had a good number of reservations with sales exceeding forecast. In addition, [PS4] Fire Pro Wrestling: World and [PS4] Bullet Girls: Phantasia ranked 3rd and 5th respectively. Because both titles have specific audience it can be said that initial move was favorable. The 2nd place [NSW] Taiko no Tatsujin: Drum 'n' Fun! with the effect of TVCM has increased its sales from previous week. Comparing to last year, this year's Obon Festival season gives the impression that lacks the big release." Taiko is really doing well on Switch. Not that expected after last entries' results. Well maybe this will be a wake up call. I think the 3DS was easier to dismiss because it really did look like smartphone gaming was going to eventually strip its market down and it wasn't selling *that* well in North America or Europe. 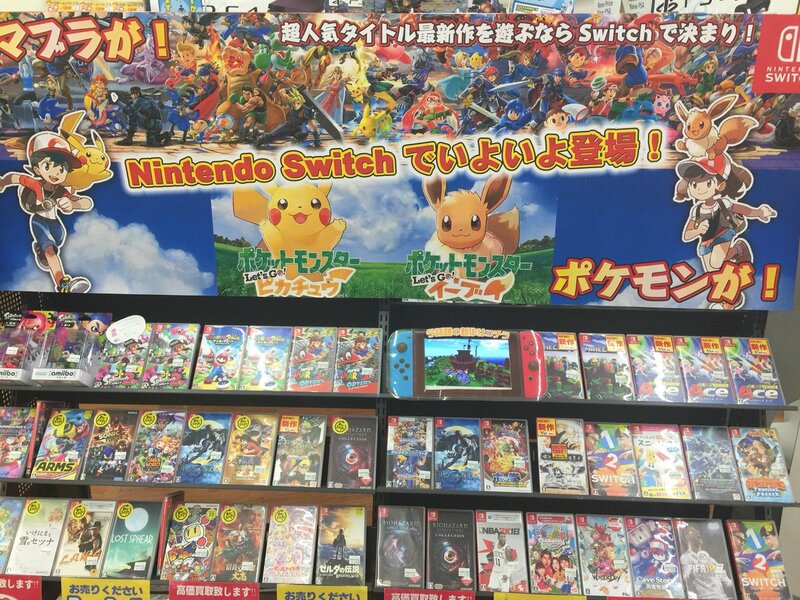 Switch is probably an eye opener for third parties now, not only is it doing well in Japan, it is doing very well in North America and even Europe. The sales of the 3ds in North America and Europe by June of 2012 weren’t *that* far off from what they are now with the Switch. Wario Ware Gold please hang on buddy! June 2018 for the Switch is like two times bigger than June 2012 for the 3DS in the US. Gap is sizable and will be even bigger by the end of the year. Seriously the holiday sales for the 3DS in 2012 weren't very impressive. The switch is going to absolutely demolish that. 2nd Holiday for the 3DS was in fact down compared to the first. Totally won't happen with the Switch. It will be massively up. As mentioned Switch software sales destroy the 3DS sales. Add in the higher software prices, higher digital sales and the fact that Switch is still rather expensive that says alot. If a publisher really only jumped on board with the plattform after it's launch you won't see the full extent of the support until 2019 at the earliest. 12/13 was actually the time were many pubs decided to move in from 3DS and start chasing the console market because of the PS4 success and establish their mobile presense. Don't have the feeling that the Switch momentum is going to slow down anytime soon ....especially not before they reach 200usd price point. Do you have the month to month sales for those 2 anywhere? The 3DS was selling considerably less with a deep $70 price cut wirh considerably worse software sales. 3DS was mediocre in the West. I think PS4 was a questionable choice for that entry. The shipment numbers for the 3DS were quite poor from 2013-2016 or so, I think Japanese devs kinda thought "well smartphones are definitely killing the portable market, Vita is gone and 3DS is missing sales targets every year". Switch is a game changer in North America and Europe, not just hardware wise but software. Look at the recent software charts, you're seeing a market like France with an entire top 5 of Switch games, the top selling individual format game in a market like the UK is Mario Kart 8, Spain and Italy are seeing tons of Nintendo titles pop up. NPD is top 10 is full of Nintendo games, even something like Mario Tennis being no.1 for a month ... stuff like this would be unheard of on the 3DS. Switch has successfully found a way to thrive in the world of smartphones, and I think many devs, Japanese devs included had sorta left Nintendo for dead. 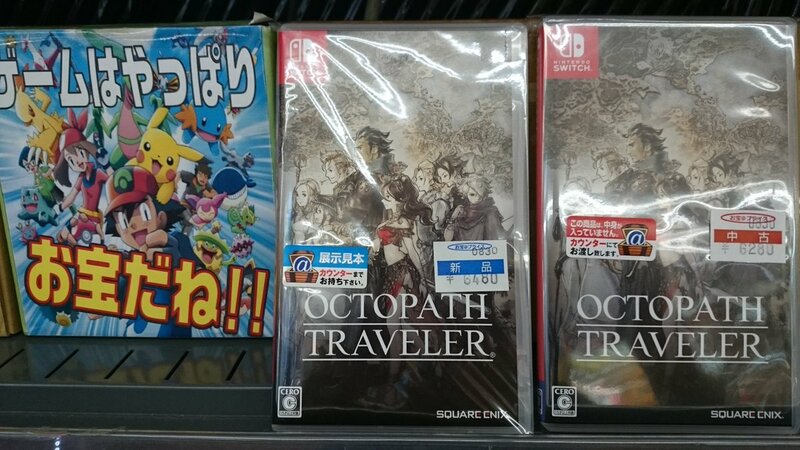 I suspect Square-Enix is probably a little gob-smacked at Octopath Traveller's sales, specifically in Western markets. Less than one hour for the numbers. Please note that the percentage of growth or decrease will be calculated later. Updates will come after the thread is created. I am expecting a good bump for Captain Toad. Yeah, best to get the thread early to avoid endless "Where's Chris?" messages here (there''ll be in the other thread instead :P). Maybe its calculated to avoid distribution and production costs. That's half a million units up over a 6 month period. That's significant. Tell me if you need help for the pourcentages. I would gladly help. I managed to find a PC, I'll make the thread. June is 50% up compared to last year. I agree that the momentum slowed down earlier this year but the Summer has put the Switch in a very good position again just before a busy end of the year.